There are hundreds of reasons why Washington, D.C., is an ideal destination for all sizes of meetings, conferences and events, among them its accessibility. Washington has three major airports nearby in Dulles International, Ronald Reagan National and Baltimore Washington International, and a convenient metro and rail system. Washington D.C. is one of the world’s best-known cities and our nation’s Capital, and is centrally located on the East Coast with much of the U.S. population residing within a 200-mile radius. It attracts nearly 18 million visitors each year from around the world. Many professional associations, corporations and travel planners report record-high attendance whenever they hold meetings and events in D.C. In Washington, D.C., you are also in close access to leaders in politics, media, research and industry, plus dozens of colleges and universities that can help boost event attendance. One thing Washington D.C. is known for is its traffic gridlocks. Since Event Transportation Systems provides ground transportation for many events in this city, we know the neighborhoods, and the best routes and times of day to travel. Rely on us to help you schedule a successful event in the District of Columbia. The most prestigious event venue in D.C. is the Walter E. Washington Convention Center. The trademark granite, limestone and dramatic 100-foot curved-glass entry leads the way to 2.3 million total square feet, with more than 700,000 square feet of prime exhibit space. There is also a 52,000 square foot ballroom featuring pre-function area with panoramic views of the D.C. skyline, including the U.S. Capitol and the Washington Monument. Other event spaces include the Embassy Suites Washington, D.C. Convention Center, the Courtyard Washington Convention Center, and the Ronald Reagan Building and International Trade Center. For a unique event experience, choose from a large number of historic locations, hotels and restaurants, waterfront destinations, floating or skyline venues, cruise ships, mansions, museums and galleries, or sporting events. Take a group to Nationals Park, enjoy cocktails along the Potomac River, or admire historic paintings at the National Gallery of Art. Event planners and conference organizers have no shortage of venues to choose from. These days, green is the hallmark of most event venues in Washington D.C. Many environmentally-conscious hotels, restaurants and attractions are taking new steps to show their awareness, including green and solar power use. Because of these efforts, D.C. has the greatest number of green-certified buildings in the country. Stylish dining experiences are on the menu when celebrity chefs including José Andrés, Eric Ziebold, and “Top Chef” celebrities Carla Hall, Spike Mendelsohn and Mike Isabella are cooking. In addition, hundreds of restaurants are located within a short distance from convention facilities. D.C. is a true global village since it is home to people of all different cultures, plus more than 150 embassies and international cultural centers. Food from almost every nation can be sampled. There are many free memorials, and museums of the Smithsonian Institution line the National Mall. 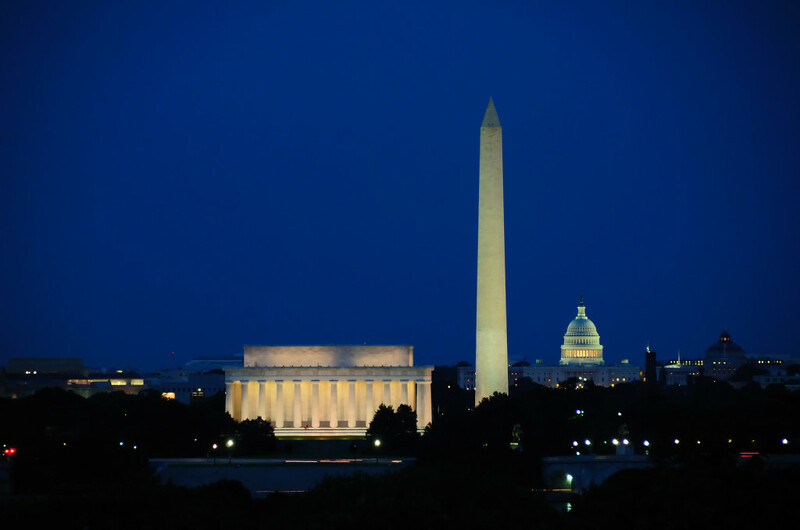 Washington, D.C. was named the #1 destination for museums and galleries by Travel & Leisure magazine in 2011. The city even offers a thriving European-style bicycle sharing program. Hotel Accommodations in Washington D.C. The District of Columbia’s award-winning hotels are as known for their top-notch service and must-have amenities. With nearly 30,000 hotel rooms within the city limits, plus many more just outside in popular destinations like Alexandria, Bethesda, and Arlington or even nearby Baltimore, there is a style and budget for every visitor, from historic and quaint to modern and plush. If you are planning a convention or meeting in Washington, D.C., rely on Event Transportation Systems to coordinate your airport transfers, shuttles and ground transportation. Contact ETS today to ask about our transportation and convention advertising services.